Referring to my earlier post ‘Calculating Latitude from the Midday Altitude of the Sun’, the question has been raised “what is the point of this if you already know your latitude”? The answer to this question is quite simple, if we are using astro navigation at sea without reliance on GPS, we never know what our exact position is and the midday altitude gives us a handy check on our DR position. 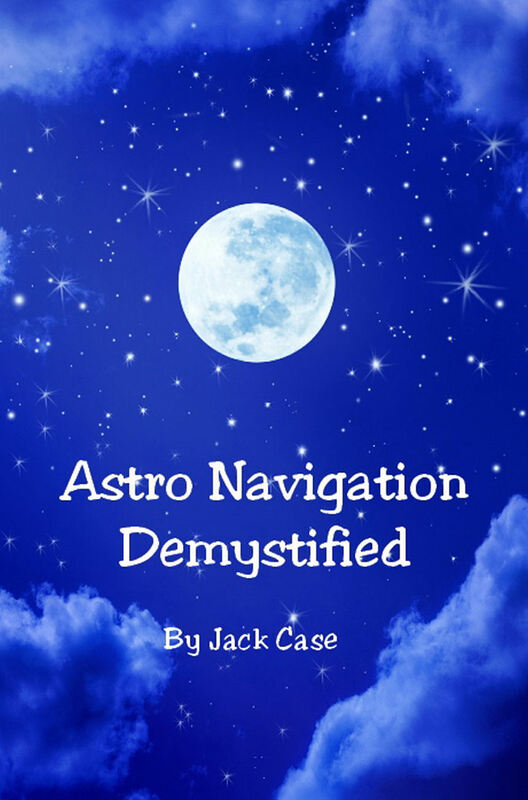 Even in the best circumstances, the accuracy of astro navigation is only ± 1‘ of arc or 1 nautical mile. This level of accuracy may seem to be unacceptable in the light of modern electronic navigation systems such as GPS but before the advent of such systems, astro is all we had to rely upon. It might be said “now that we have GPS, what’s the point of an inaccurate method such as astro navigation”? The answer to that question is that we could lose GPS at any time through a variety of causes such as solar storms, cyber attacks, power failures, system failures, and so on (see my post ‘Could the Global Positioning System Fail’). On the other hand, the Sun, Moon, stars and planets will always be there and so we will always be able to use astro navigation. Furthermore, in certain situations, it might not be advisable to use GPS anyway; just as a mobile phone can give our position away so can a GPS device. Like all electronic equipment, a GPS device emits ‘side-channel electromagnetic signals’ and these emissions can be easily detected with modern sophisticated electronic warfare systems. So for special forces and those in ‘escape and evasion’ scenarios, it might be advisable to find another way of navigating (see my post ‘Astro Navigation in a Survival Situation’. I stated earlier that atro navigation is only accurate to ± 1 nautical mile, so why is this so? With the Intercept Method, we measure the altitude and azimuth of the Sun from our actual position so that we can calculate our direction and distance from our DR position. With three point fixes, we also base our calculations on an assumed position which is in the vicinity of our DR position. The problem here is that the DR position is only an approximate position so the position that we have calculated in relation to the DR must also be approximate. That is why we never know our exact position at sea. It was not until John Harrison invented the chronometer in the 18th century that navigators had a method of calculating longitude). Before this time, navigators relied on dead reckoning to give them an approximate longitude. However, they would have been able to calculate their latitude from the midday altitude of the Sun and they would able to use this to revise their DR position. To calculate latitude from the midday Sun, they would need to know two things, their approximate latitude and the declination of the Sun. They would take their approximate latitude from the DR position and they would have had tables listing the Sun’s declination for each day. So, the whole point of knowing the approximate latitude was to enable them to calculate a more accurate one. If we use astro navigation today, we ideally need to be able to take star and planet sightings during nautical twilight. If however, the sky is covered during these times, then we have to rely on the Sun and the Moon when they are visible. In these circumstances, a midday sighting of the Sun is invaluable. At the Vernal Equinox (March 20/21) and at the Autumnal Equinox (September 22/23) when the Sun is above the Equator, its declination will be 0o. At the Summer Solstice (June 20/21) when the Sun has reached the northerly limit of its path, its declination will be 23.5o north. At the Winter Solstice (December 21/22) when the Sun has reached the southerly limit of its path, its declination will be 23.5o south. Between these dates it moves north or south accordingly at an average rate of approximately 0.35o per day. (To learn how to calculate your lat and long in a survival situation, go to these links: Lat from Sun Lat from Polaris Long). Armed with this information, we can calculate the Sun’s approximate declination for any day of the year. For example, April 15 is 25 days after the Vernal Equinox so the declination on that day will be: 0o plus (25 x 0.35o) north = 8.75o north (approx.). October 15 is 23 days after the Autumnal Equinox so the declination on that day will be: 0o plus (23 x 0.35o) south = 8.05o south (approx). If you check these answers with the Survival Declination Table, you will see that they are accurate to within one degree. To return to the original question, as long as we have an approximate latitude and an approximate declination to work on, we can calculate our latitude from the midday Sun. The whole point of doing this is to enable us to check our DR position and revise it if necessary.